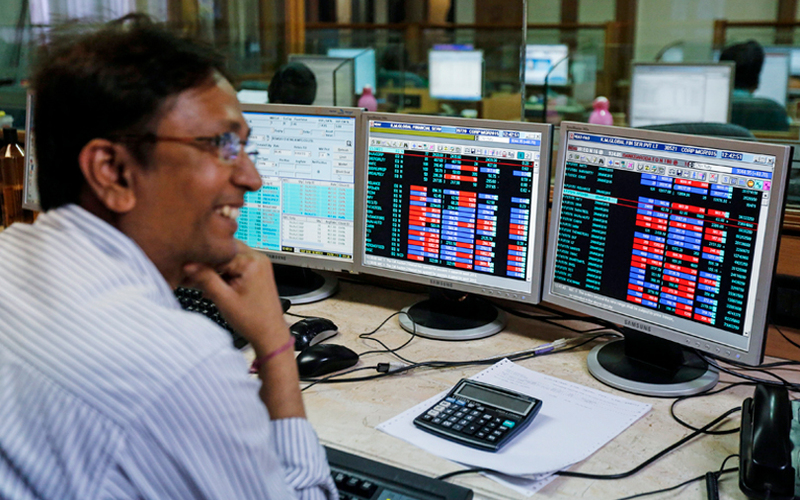 Indian shares posted their best close in more than six weeks on Friday, powered by gains in Reliance Industries Ltd, the country’s biggest company by market value. The broader NSE Nifty closed 0.62 percent higher at 10,682.2, while the benchmark BSE Sensex ended up 0.56 percent at 35,457.16 — their highest closing levels since Oct. 3. Both the indexes finished the week 0.9 percent higher. Shares of oil-to-retail conglomerate Reliance Industries climbed 2.8 percent, marking their best closing high since October 17. HDFC Bank Ltd’s stock rose 1.5 percent, while that of Housing Development Finance Corporation Ltd climbed 1.9 percent to its highest close in two months. Shares of telecom major Bharti Airtel Ltd ended 9.3 percent higher, while those of larger rival Vodafone Idea Ltd closed up 16.5 percent. Private-sector lender Yes Bank Ltd was the top loser on the index, ending down 7.2 percent as turmoil in its management persisted.